While in the U.S. you can't disinherit your spouse unless your spouse agrees to be disinherited in a prenuptial or postnuptial agreement (except in Georgia, where your spouse is entitled to one year of support), you can disinherit your children in all but one state, Louisiana, and only under limited circumstances. In Louisiana, you can't disinherit children who are 23 years of age or younger, or children of any age who, because of mental incapacity or physical infirmity, are permanently incapable of taking care of themselves or managing their finances at the time of the decedent's death. Unfortunately in some ways, Hollywood has managed to "glamorize" the idea of disinheritance since often times in the movies or on TV we see the disinheritance as the main plot or a subplot in a movie or commercial. In real life, however, disinheriting a child, grandchild or other relatives should be taken very seriously. Here are some things to consider before making a last will and testament or revocable living trust, or changing an existing last will and testament or revocable living trust, that disinherits a potential heir. Disinheritance is both an emotional and financial decision. Sometimes it begins during life when a parent or grandparent consciously decides to cut off ongoing financial support to an adult child or grandchild (like Hannah on HBO's series Girls). Don't use the threat of disinheritance as a way to manipulate an heir's behavior. If you want your child or your niece to do, or not do, something, and you think that threatening them with disinheritance will make them act, or not act, think again. It's a sad way to get someone to act the way you want them to act, and you're simply trading love and respect for money. Consider using a trust to control an heir's inheritance. If you're concerned that your child or niece will blow their inheritance on fast cars, drugs, and alcohol, or extravagant trips, or will simply lose the incentive to work and make an actual contribution to society, consider leaving them an inheritance with strings attached. This can be accomplished by setting up a lifetime trust for the heir's benefit and giving the trustee specific instructions about how and when distributions can be made to the heir. This can include incentives such as going to college, working at a full-time job, or staying drug and alcohol-free, but it cannot include incentives that would be against public policy, such as marrying or divorcing a certain person or practicing a specific religion. Consider giving your spouse, child, or other relative a power of appointment. Even if you ultimately choose to disinherit a child, grandchild or other relatives, consider giving the beneficiary of a lifetime trust, such as your spouse or a child, the ability to "re-inherit" them. This can be accomplished by giving the beneficiary of the lifetime trust a power of appointment that can be exercised in favor of "re-inheriting" the person you disinherit. Make your intentions of disinheritance clear in your will or trust. 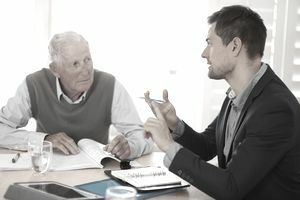 If you do decide to disinherit a child, grandchild or other relatives, then don't simply fail to mention them in your last will and testament or revocable living trust, specifically state your intent to disinherit them. Seeing it in black and white will certainly drive the point home and discourage a will contest, particularly when language such as "I am intentionally disinheriting Susie for reasons I deem to be good and sufficient and therefore, for all purposes of this will, Susie will be deemed to have predeceased me" is used at the very beginning of your will. Check your beneficiary designations and update them if necessary. Sometimes in the haste to make sure that a potential heir is disinherited in a will or trust, beneficiary designations for life insurance policies and retirement accounts, such as IRAs and 401(k)s, are overlooked. If you have decided to disinherit a potential heir, then make sure that all of your assets are titled properly and all of your beneficiary designations are up to date. Do You Need to Update Your Will If You Move Interstate?